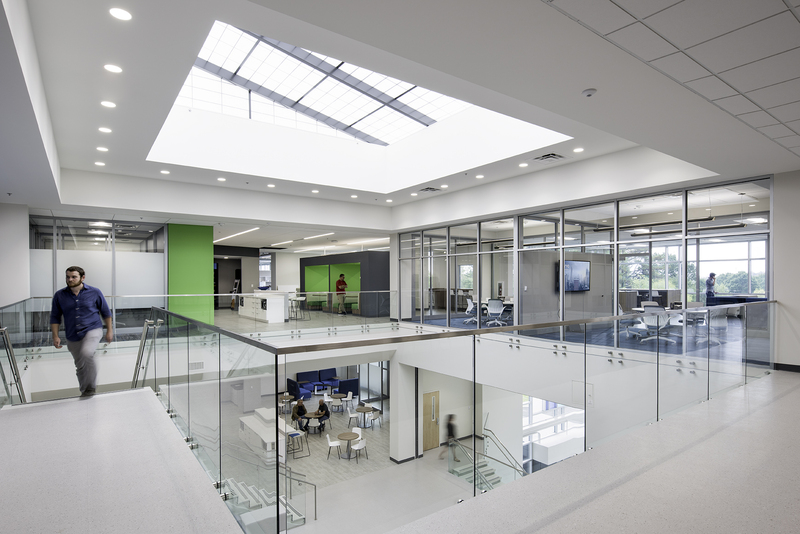 Workplace Strategies served as Lead Design Consultant for Qorvo’s new three-story Mobile headquarters on their Greensboro, NC campus. 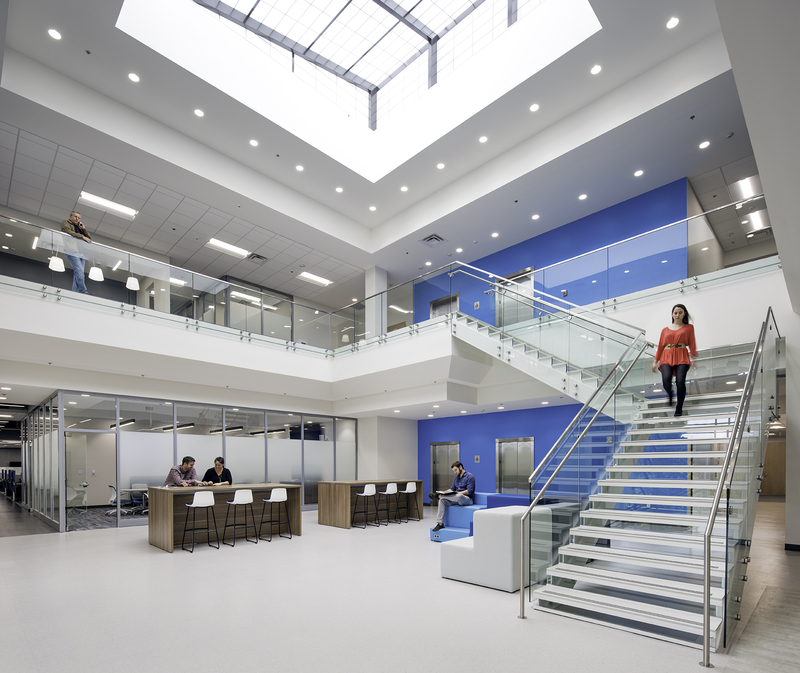 Our firm completed an extensive, 258-page programming book that documented needs and requirements of the new building which was used to secure a development team for the new construction. 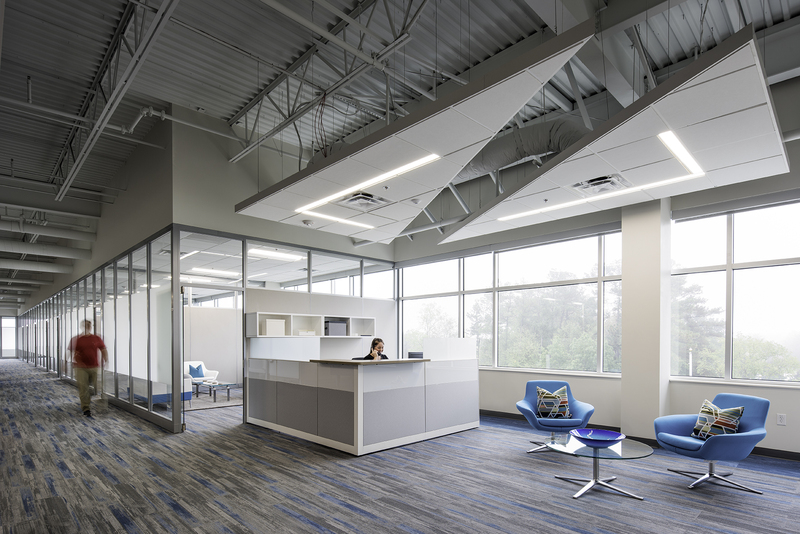 Also serving as interior design lead for the project, our team combined best practice workplace concepts to meet detailed project goals for Qorvo’s new Mobile facility. 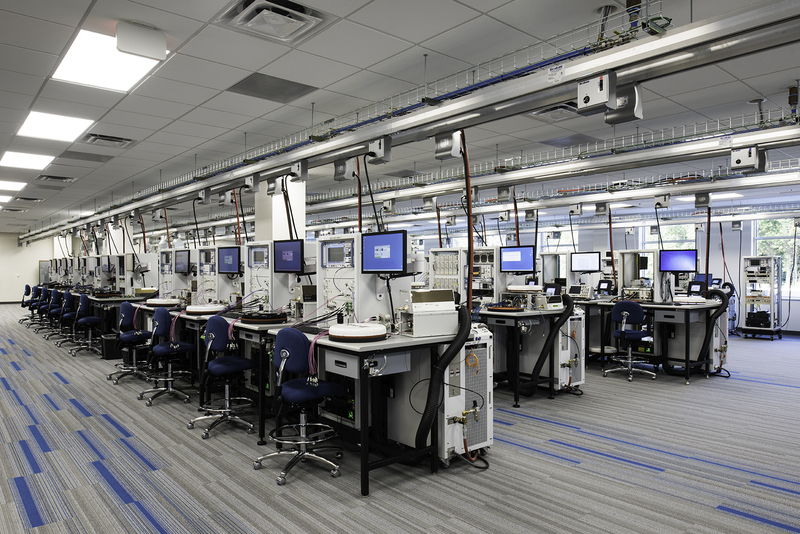 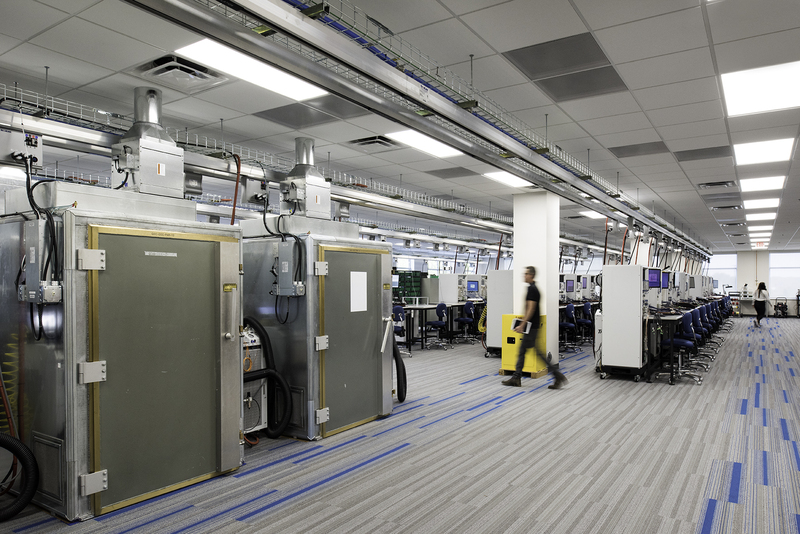 The building combines 115,000 square feet of flexible, innovative office environment with 35,000 square feet of advanced microelectronics labs to provide a work environment designed to stimulate innovation and collaboration while simultaneously benefiting employee health and wellness. 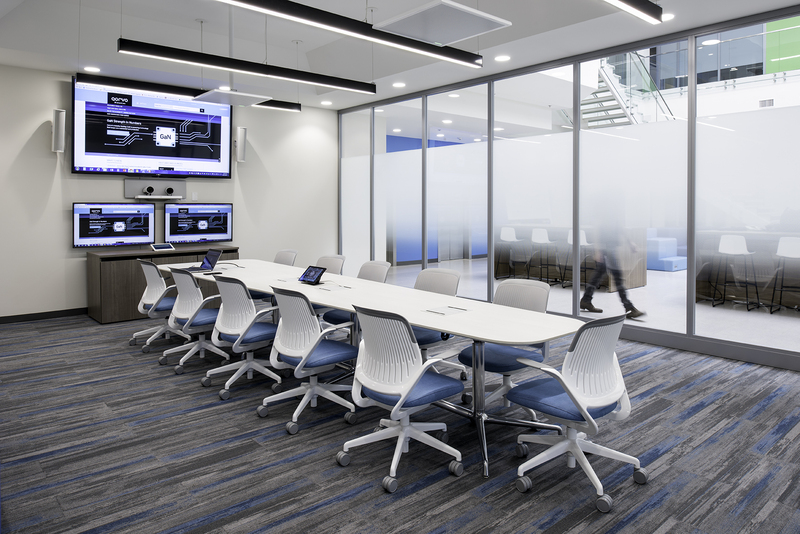 During the design phase, our team worked with Qorvo to design and bid an extensive, kit-of-parts, furniture package that has been highly coordinated with the project’s design and goals. 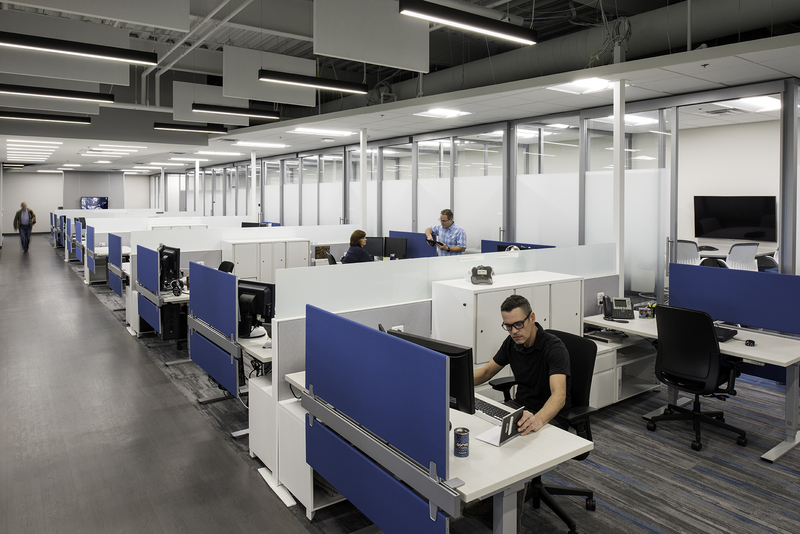 Our team has since helped translate the furniture and design features of the new Qorvo Mobile Building into a nation-wide facility standard and guideline for Qorvo’s US-based workplaces. 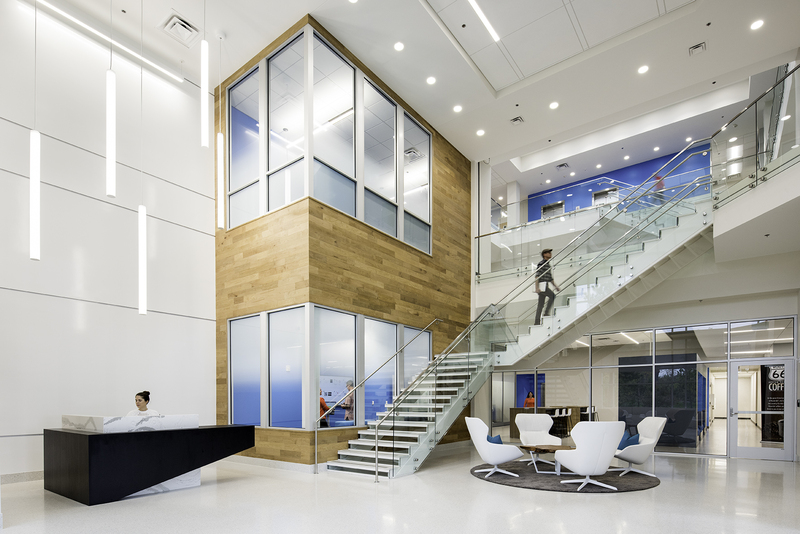 Serving in a national design manager role, our team has worked on several additional, highly engaged and innovative projects for Qorvo, including their IDP Headquarters in Texas and their new Mobile addition in Florida.